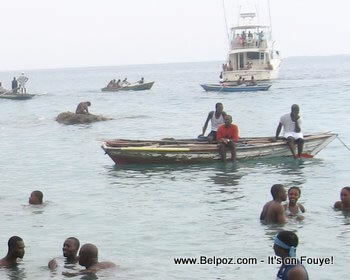 Many Haitians love to take some time off and spend a day at the beach. Those who can afford it will go to an all inclusive beach resort but for those who cannot afford it, there's plenty of beaches in Haiti where you can go enjoy yourself without spending any money. Haiti is occupies the western part of the second largest island in the Caribbean, the island of Hispaniola. Haiti is surrounded by beautiful white sandy beaches. Come have some fun. Come spend a day at the beach in Beautiful Haiti. The name of the island is AYITI. It goes back to at least 1000AD.